Things are looking very well for British sports car manufacturer. Its new model, Griffith, has already garnered 400 orders, according to Road & Track. 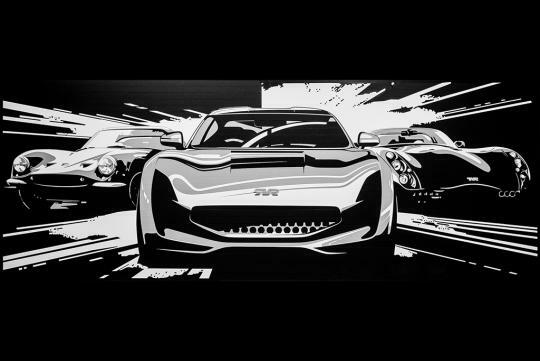 Buyers were said to start queuing for the cars after TVR showed potential customers a prototype in March. It managed to secure such a high sales figure for the car despite its launch falling behind the original schedule. Set to be revealed to the world in September, the car will be like the TVR's of the past where it will be simple, light in weight and powered by a monstrous V8 engine. The engine is said to be naturally-aspirated and will be produced by Cosworth. Power goes to the rear via a six-speed manual gearbox. Unlike the past cars, it will have an advance carbon fiber chassis built through Gordon Murray’s iStream manufacturing process.